Hi Hero, Vietnam is a very busy country, you have a population of 86 million people. I see Ho Chi Min City is in the south,very close to Cambodia, have you ever been to Cambodia. ? Hero what is this building in Ho Chi Min City it looks very Grand. Hi Graham and hello everyone - welcome to VietNam. Frist, I thank you very much when you open new thread. I want change name this thread: " VIỆT NAM - Chat with Hero about his home". I hope everyone will agree about this idea. I don't go to Cambodia,If I have got opportunity, I enjoy travel your company. Because I can go to tourist and meet everyone here. My country's beautiful and freedom, People is trying built development in the future. This is a picture about my country. Tonight, I don't sleep? I don't meet everyone online here. I thinks guys busy.Sothat, Don't online comment in the forum. huhu. I am sitting alone on the chair. Listening english, creating signature forum. I wish I wish pass at the R & G company, Then, I will go to work, and my salary stable. Today is sunday.hih The weekend... I don't play, staying at home. "Hanoi used to be called Thang Long (flying dragon). The myth was that in 2010, the new king Ly Cong Uan while visiting this valley saw a dragon flying into the sky, and took this as an omen that this place was a suitable capital to rule. 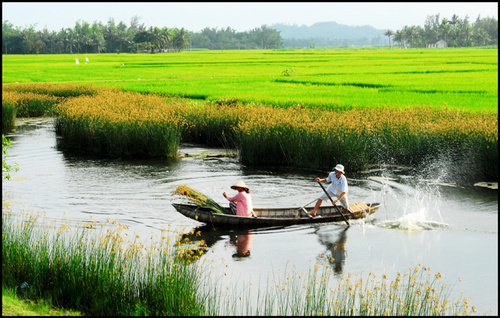 Thang Long had rich soil and good defense because it was surrounded by the Red River and backed by mountains." Nice video Hero, I like chinese music and have a few cd's. Here is a restaurant in Brighton. Signman, I don't think Chinese and Vietnamese are the same language and music are they? Perhaps Hero will enlighten us....? Thank Signman and Voltman reply. Sorry Signman that video's music Vietnam. It's talk about my country and Vietnamese. Please listen again you will know music VietNam and Chinese. I like listen some song chinese in the film: The Myth film have got a song great. if you like I will share links about this links. Beside, I usually listen music English. Now, I am listen a song : Proud of you. hih that's good about lovely. Hero,I like the story of the dragon flying into the valley. Hope you usually reply here. At the country, It's raining? and your country? Hero we are just going into the Autumn when all the leaves fall from the trees. It is now colder as Winter will soon be here. However today the sun is shining and it is a lovely day. hih, I forget, Your country have got 4 season, and my country have got 2 season. It's raining, I feel very bad. Before, I worked in a manufacturing company. After, My study is busy at the school, I don't work that, I change at the other company. Now, I am stay at home. and wait for new job. Two seasons Hero.....explain please ?